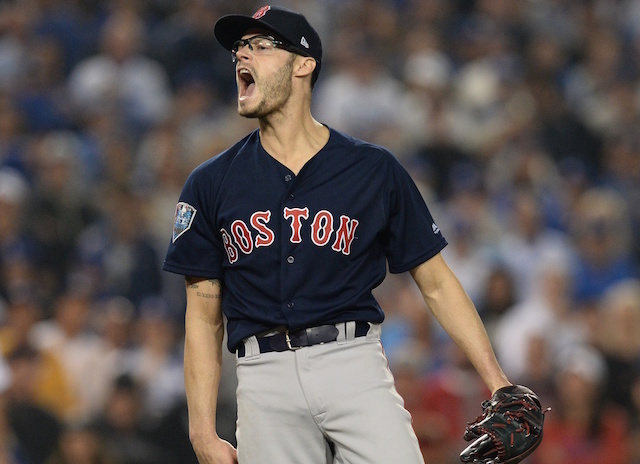 The Los Angeles Dodgers officially announced the signing of Joe Kelly to a three-year contract. The deal, which was first reported in the wee hours on the final day of the Winter Meetings, is said to be worth $25 million. Kelly is coming off a bit of a shaky year but one that ended with him shining in the postseason. He went 4-2 with two saves, a 4.39 ERA, 3.57 FIP and 1.36 WHIP over 73 appearances during the regular season. Aside from May and August, he pitched to a sub-2.75 ERA during each month of the regular season. Where Kelly did struggle was with strikeouts-to-walks ratio declined from 2.28 in the first half to 1.93 after the All-Star break. Fortune was not on Kelly’s side during that same span, as his batting average on balls in play spiked from .250 to .368. The 30-year-old solved whatever issues may have plagued him come October, however. Kelly allowed just two runs (one earned) in 11.1 innings pitched over nine postseason games, going 2-1 while holding opponents to a .186/.205/.186 batting line. Kelly struck out 13 batters during that stretch without issuing a walk; he did hit one batter. Against the Dodgers in the World Series, the UC Riverside product tossed six shutout innings, allowed just four hits and collected 10 strikeouts. 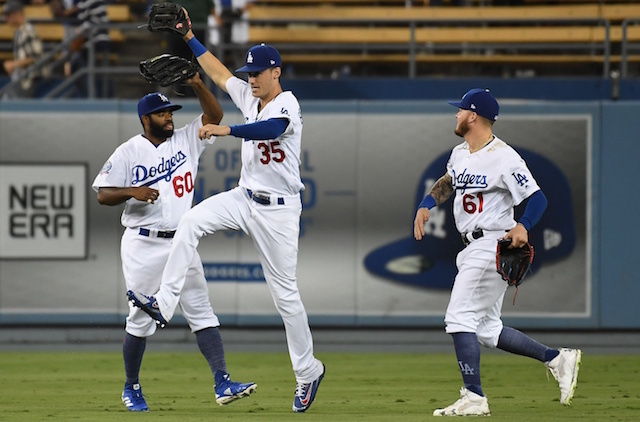 Kelly and the Dodgers will face the Boston Red Sox during the 2019 season when they visit Fenway Park July 12-14. Kelly presumably will receive his World Series ring during that three-game series.